From Wikipedia: Geocaching is an outdoor treasure-hunting game in which the participants use a Global Positioning System (GPS) receiver or other navigational techniques to hide and seek containers (called "geocaches" or "caches") anywhere in the world. A typical cache is a small waterproof container containing a logbook and "treasure," usually toys or trinkets of little monetary value. Today, well over 350,000 geocaches are currently placed in 222 countries around the world, which are registered on various websites devoted to the sport. 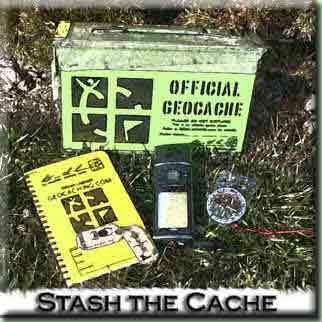 For more info on Geocaching in Idaho click on the following icon.